News | LEAGUE: 1969 is the month's top seller -- plus interviews, reviews, & annotations! 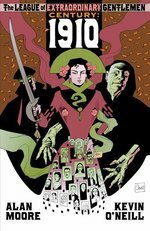 The psychedelic celebration continues for Alan Moore & Kevin O'Neill's new graphic novel, The League of Extraordinary Gentlemen: Century: 1969! First item: it's the bestselling graphic novel of the month! Our distributor Diamond reports that it's far and away the #1 book for July 2011. 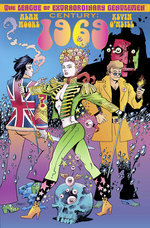 Next item: Intrepid reporter Zack Smith at Newsarama has just concluded an epic 4-part interview with Alan Moore! Check out parts One, Two, Three, and Four -- all packed full of insight into the League, the 1960s, and everything under the sun. If you can't get enough League and want to catch every single reference, hard-working fans have stepped up to provide detailed annotations: Jess Nevins, The Mindless Ones (one, two, three), Revolution SF, Newsarama. Grab your copy today from your favorite retailer -- or even digitally through Comics+!